A few weeks ago, while scouring the web for new hardware or ejuice to test, I came across a deal that I just had to try for myself. It seemed too good to be true: “Get 120ML plus bonus e-liquid for just $1.00”. Wait, what? There had to be a catch… Shipping? That’s gotta be it… But then I read that shipping was included too. Well I’ll be damned. It was at this point that I selected my ejuice, clicked add to cart, and patiently waited for my practically-free ejuice to arrive. My package showed up a few days later in a small box. When I opened it up, I was pleasantly surprised. Not only did I get four 30ml bottles (for a total of 120ml), but I also received two 10ml sample bottles. I felt like I had just committed a robbery. The packaging and bottles are nice and the flavors smell heavenly. Since then, I’ve been vaping on the 6 flavors I received and honestly I’ve been very impressed. They vape and wick well, have excellent flavor and aren’t too hard on your coils. Plus, for $1.00, how could you really go wrong? I’m going to go over the flavors I received and explain how they vaped. I’ll give you a sense of what each flavor actually tastes like, such as which notes are more prominent, and let you know how my coils fared after using them for a few weeks. One of them might pique your interest. Of course, I’ll also explain how you can get this awesome deal yourself. 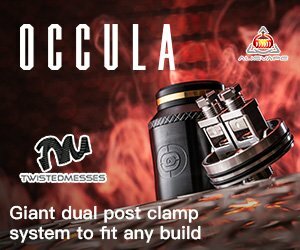 This promo is only for your first order with Vape Wild. It’s also only valid for USA residents. I’m not monkeying around when I say that Wrecking Ball had me swinging off my tree. This flavor is bananas — literally! Wrecking Ball is a mix of banana pudding and a delicious dessert cream. The flavor is smooth and tasty and I found that it made the perfect day-long vape juice. Wrecking Ball brings a complex but refined flavor that I really enjoyed. On the inhale you get the banana flavor with subtle notes of the dessert cream mixed in. The banana is bold but not too overpowering and that’s what makes this ejuice special. Other banana flavored ejuices that I’ve tried have been way too pungent; so much so that they almost choked me as I inhaled. But with Wrecking Ball the flavor is just right. The exhale brings the dessert cream flavor more into taste and this pleasantly finishes the draw. Out of all of the Vape Wild flavors that I tried, Murica has got to be my favorite. It tastes just like the red, white and blue Rocket/Astro/Bomb popsicle and it is freakin’ delicious! You get three cool and refreshing layers of flavor: red cherries, tart lemon-lime, and blue raspberries and the flavors come together perfectly. It’s no wonder that Murica was voted Vape Wild’s best e-juice of 2019. With Murica the flavor is light and refreshing. Every puff gives you a taste of all three flavors in layers. You taste the harmony of cherries first, then the lemon-lime with raspberries at the end. It’s like taking a bite out of a rocket popsicle with every puff. On the exhale, you get the same glorious combination of flavors which makes for a very consistent tasting vape. Murica brings a timeless, mouth-watering mix that is easy to vape and hard to put down. As its name implies, One Size Fits All is a tantalizing ejuice meant to appeal to the masses. Ripe, fresh strawberries and juicy guava pair together to bring a vape flavor that is tasty and well-rounded. For fruit lovers, One Size Fits All brings a smooth vape that hits all the right spots without being too sweet. With every draw you get well-balanced, fruity notes. On the inhale you taste the strawberry straight away. It’s quite pronounced, but not overbearing, and has a very natural taste. On the exhale you get the full flavor of sweet and juicy guava which almost gives off a nice floral sort of taste. Strawberry and guava make a great combination and Vape Wild have certainly done it right with this one. The guava exhale keeps this ejuice interesting as you vape on it and even I found myself taking puff after puff. The perfect summertime flavor, Blue Harvest is a sweet and inviting blend of watermelons and blueberries crushed in a tangy and refreshing lemonade. This flavor will make you smack your lips together, it really tastes that good. Watermelon, blueberries and lemonade aren’t a common combination, but I’m glad that Vape Wild did it. On the inhale, you get an equal blast of watermelon and blueberries at the forefront of the flavor profile. There is also a subtle lemonade taste, but the fruit flavors are most dominant. I didn’t know how much I liked watermelon and blueberry together until I tried this ejuice, so I’m glad that I tried it. On the exhale you get a bold pink lemonade taste that rounds off the entire vape, with subtle fruit flavors coming through ever so slightly. Blue Harvest is one of the most unique fruit ejuices that I’ve tried and it brings something new that you probably haven’t had before. I highly recommend it, you won’t be disappointed. There’s a very low chance that you’ve ever tasted this combination: breakfast cereal and ice cream. Which is all the more reason for Vape Wild to make it into an ejuice! Stoned Age is a mix of fruit flakes and vanilla ice cream that sounds weird on paper but tastes like a party in your mouth. Stoned Age is for vapers with a sweet tooth. You get a combination of delectable fruity pebbles and creamy vanilla ice cream that delivers quite the flavor punch. On the inhale you’re tasting the dominant fruity pebbles, while the exhale provides the smooth vanilla ice cream that is really nice on the palate. I didn’t know if I would like it until I tried it; and now I don’t want to stop vaping it! Yum. One of their latest flavors, Blueberry Pompadour tastes just like blueberry pancakes! You get the taste of a fluffy blueberry pancake, topped with butter and drizzled lightly in maple syrup. It’s a complicated but very well-done flavor profile that accurately recreates a hot breakfast favorite. On the inhale, you taste the blueberry pancakes most strongly. The pancake taste is very accurate and pronounced, with the blueberries adding to the flavor in the background. You also get light hints of the syrup here. On the exhale, you taste more of the butter and syrup at the forefront. Blue Pompadour is quite sweet, and is definitely more of a dessert lovers ejuice. I found it a bit too sweet and dessert-like to vape all day. With over 150+ flavors to choose from Vape Wild has one of the largest selections ejuices around. Their combination of low costs, superb flavor choices and outstanding customer service make Vape Wild a great choice for the price-conscious vaper. Plus, you also have the option of choosing your VG/PG level for an added level of customization. How to Get 4 bottles For Only $1.00! Click on the banner above. This will take you to the page where you can get the deal. First, select your nicotine strength for your ejuices. Vape Wild offer strengths from 0 mg to 12mg. Select your VG/PG blend. I love that Vape Wild give you this option, as it lets you customize your flavor/cloud balance. For more clouds, go with more VG. For more flavor, stick with more PG. Personally, I chose the 65/35 [Higher VG] blend. Now the fun part, selecting your flavor choices! There are four drop down menus and you can select one ejuice from each drop down list. Once you’ve selected all four of your e-juices, hit ADD TO CART! Click on “Proceed to Checkout” at the top right of the window. Once complete, return to the checkout page. You’re now able to enter the code that will get you these juices for only $1.00. On the right of the checkout page, just under the subtotal and shipping sections, Enter code “WELCOME4”. BAM! 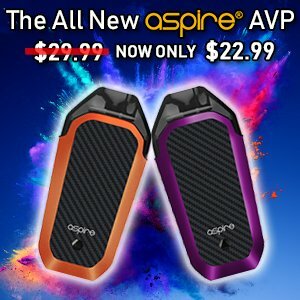 You’re getting 120ml of ejuice for $1.00! Sweet! Finish filling out shipping, billing, and payment information. Anxiously wait for your delicious ejuices to arrive! You’re done! For both health and financial reasons, I knew I had to quit smoking cigarettes. At a certain point I felt as if I had tried everything and it was too difficult to quit cold-turkey. That's when I found vaping and I've been off the stinkies ever since! I love testing and reviewing the latest vaping gadgets, marathoning television series and playing with my awesome dog Lupa.